Get to the bottom of your pain so you can find the relief you deserve. Dealing with a nagging, painful jaw is nothing to scoff at. Anyone who deals with jaw pain on a regular basis may find it difficult to enjoy their favorite foods or may experience soreness just chatting with friends. If this is happening to you, our Andover, MA, dentist Dr. Richard Hopgood may have an explanation for what’s going on. There are a few different reasons why you may be experiencing jaw pain, so it can be difficult to pinpoint the issue on your own without a little help from our Andover, MA, general dentist. Here are some common reasons your jaw may feel sore. Most people don’t know that they grind their teeth, often because they do it in the middle of the night while they are asleep. Of course, during your routine dental cleaning, we may be able to see some signs that you grind your teeth such as excessively worn areas of a tooth. If you don’t get the treatment you need to stop this nasty habit then you may face other issues like sore, achy or painful jaws. Luckily, teeth grinding can often be managed by wearing a custom-made mouthguard while you sleep. This is another common problem that may occur for a number of reasons, from traumatic injuries to the jaw to structural imbalances. Along with jaw pain, you may also notice a popping or clicking sound when you open or close your mouth or while chewing. You may also experience headaches, earaches and even neck pain as a result. Of course, there are loads of other reasons why jaw pain may be present. 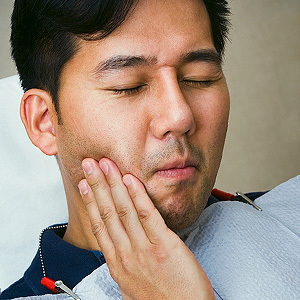 While teeth grinding and TMJ disorders tend to be the most common, this doesn’t mean that an abscess (a dental infection), cavities or gum disease can’t also manifest jaw pain, as well. A misaligned smile may also put too much pressure on certain teeth, which can also lead to jaw discomfort. As you can see, there are quite a few reasons why you may experience jaw pain. Isn’t it time you got to the bottom of your issues? Seek the care you need from Advanced Dental Concepts in Andover, MA. 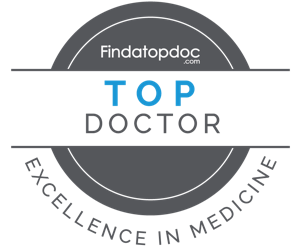 Call our office and schedule your next visit with Dr. Hopgood today.